I have basic patterns for my dulcimers but the the exact shape and size of each dulcimer varies slightly from one dulcimer to the next. I have embraced a fairly free-form style of building and use very few jigs, forms, and fixtures. By building free-form I feel like I am sculpting a dulcimer rather than making a bunch of parts and assembling them. 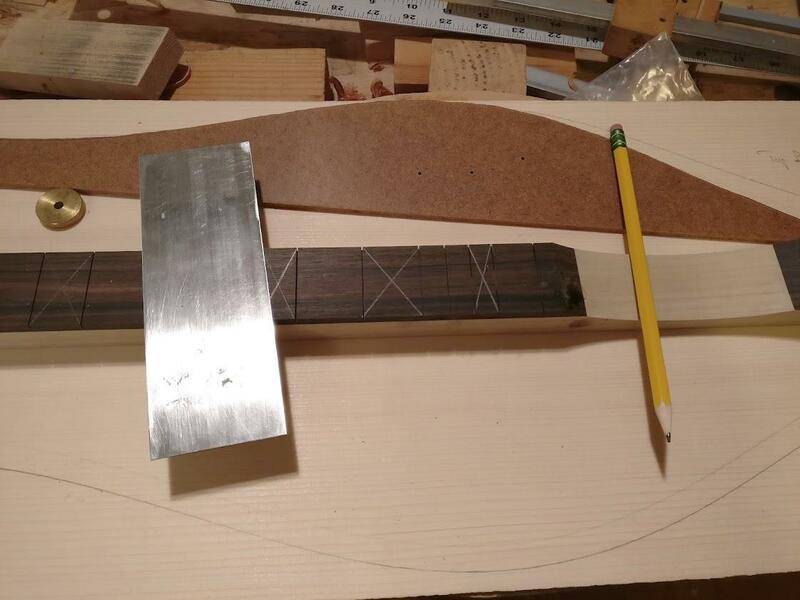 The frame of the dulcimer (sides and end blocks) and the fretboard become the reference points for laying out the rest of instrument. I can make small changes to the shape and size of the dulcimer by feel and eye and work with it until everything seems right to me. The thickness of the top and back and the bracing pattern are determined in a similar manner. Free-form building is not the most efficient way to make dulcimers in a timely manner. If I made all the parts to a set pattern and assembled them in fixtures I would make more dulcimers in less time but I wouldn’t enjoy the process very much. 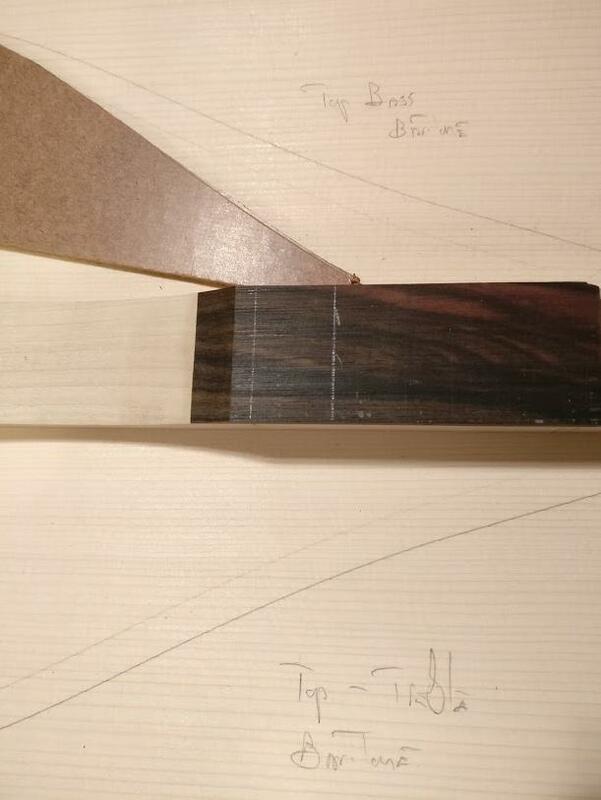 These photographs are of a baritone dulcimer in progress. The final shape of the dulcimer is traced on the soundboard and the soundholes are laid out using a template. I have also laid out the placement of the position markers on the fingerboard. A scraper serves as a short straight edge for drawing the layout lines. Also important are notes to myself to make sure everything goes where it is supposed to go. There is a reason I do this. Guess what happened the last time I didn’t do this! Doing free form makes each one unique – that is great in my mind.